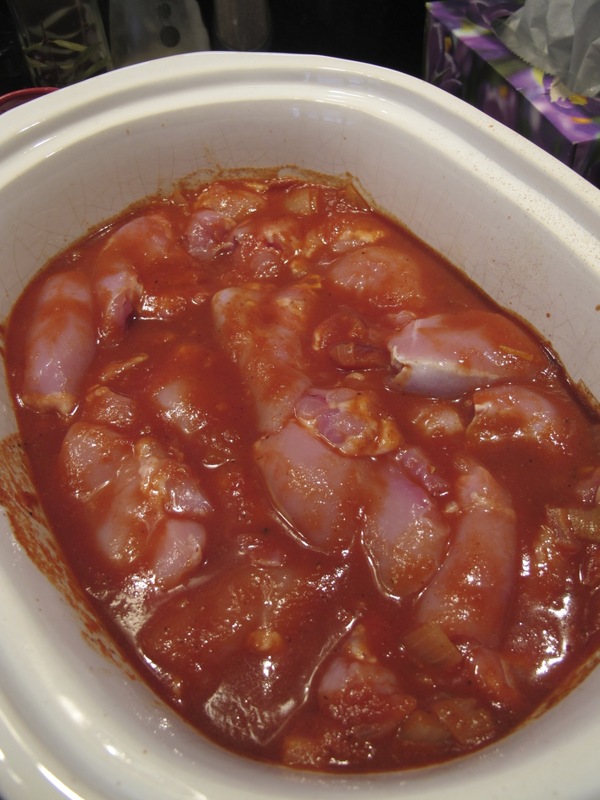 Looking for a simple chicken recipe that didn’t require too much of my left hand, I found this delicious Ethiopian recipe for my slow cooker. It comes from the recipe book “Slow Cooking” by Catherine Atkinson. I left out the hard-boiled eggs and didn’t garnish because – come on – I only have one good hand! But next time I’ll try the full meal deal. 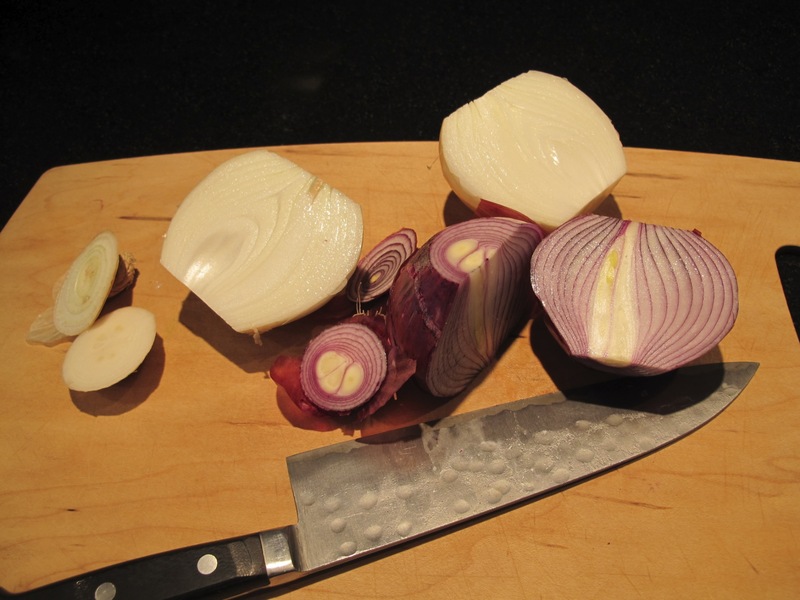 This tasty recipe is one I will definitely be using again. Maybe I’ll even be brave enough to try making injera (traditional Ethiopian fermented sourdough bread – tastes way better than that sounds). Heat the oil in a large pan. 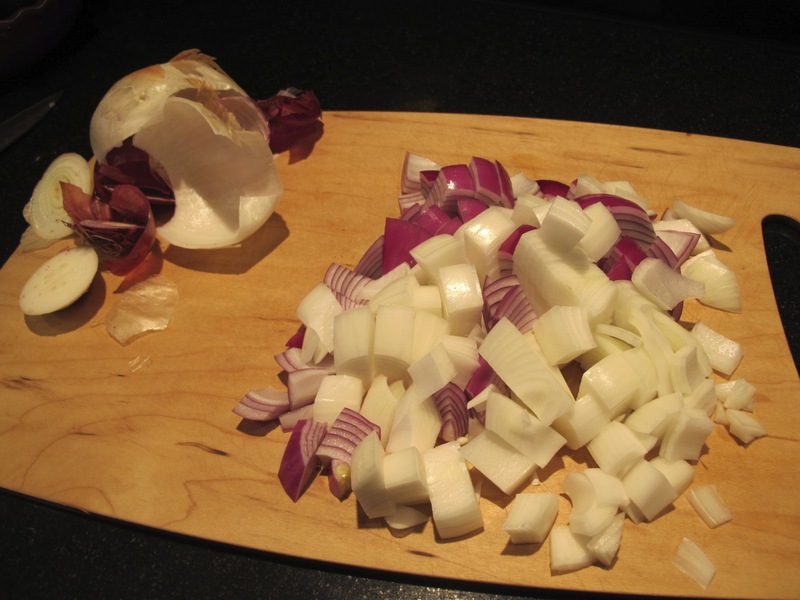 Add onions and cook for 10 minutes until softened. 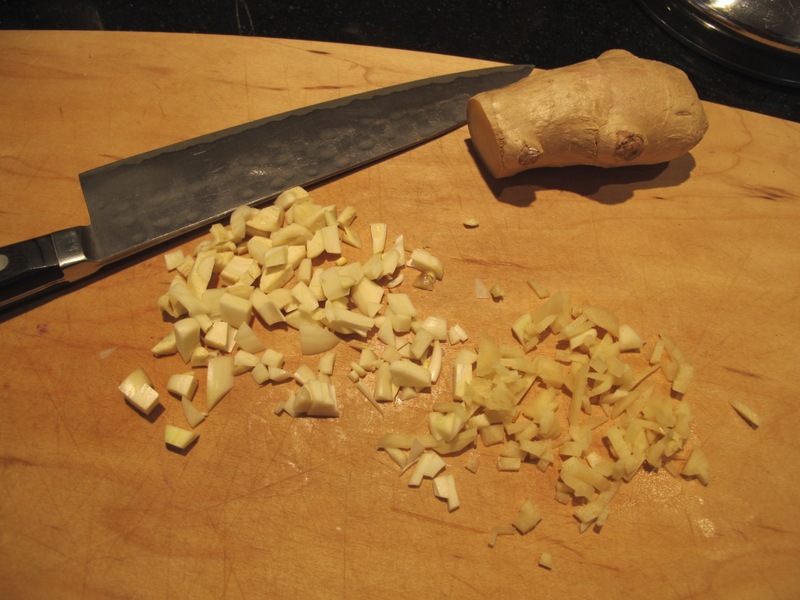 Add the garlic and ginger and cook for 1 – 2 minutes. Add the stock and the passata to the pan. Bring to a boil and cook, stirring frequently for about 10 minutes. Season. Transfer the mixture to the slow cooker and stir in the spices. Add the chicken and push the pieces down into the sauce. Cover and cook on high for 3 hours. Remove the shells from the eggs, then prick the eggs a few times with a fork. 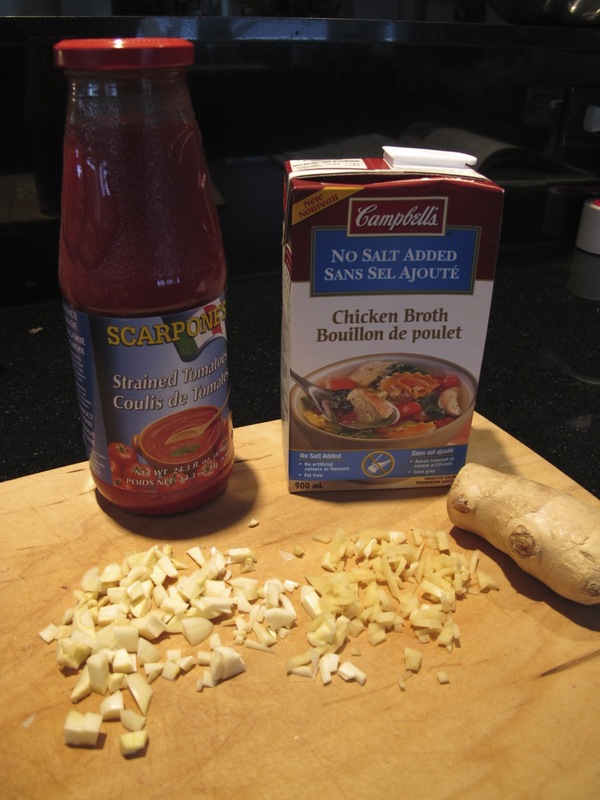 Add to the sauce and cook for 45 minutes, until the chicken is cooked through and tender. Season with cayenne. 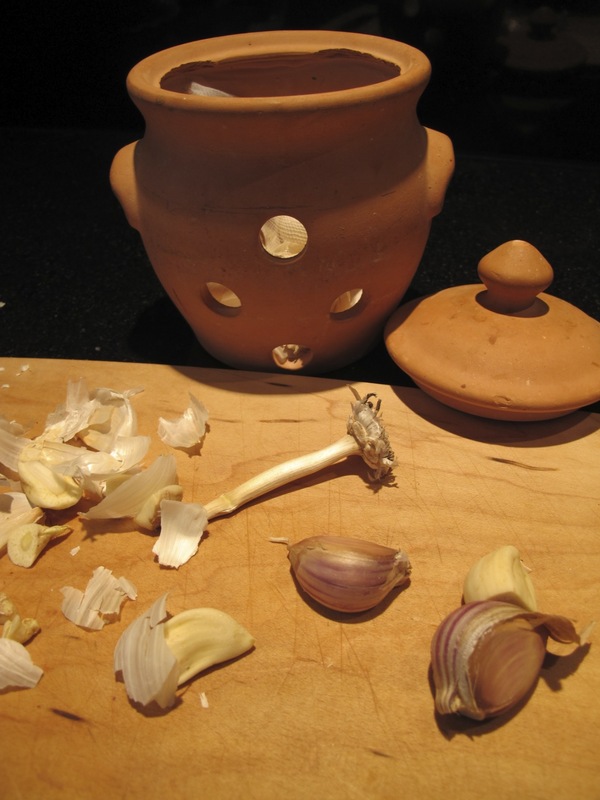 Garnish with coriander or parsley and onion rings and serve with flatbread or rice. 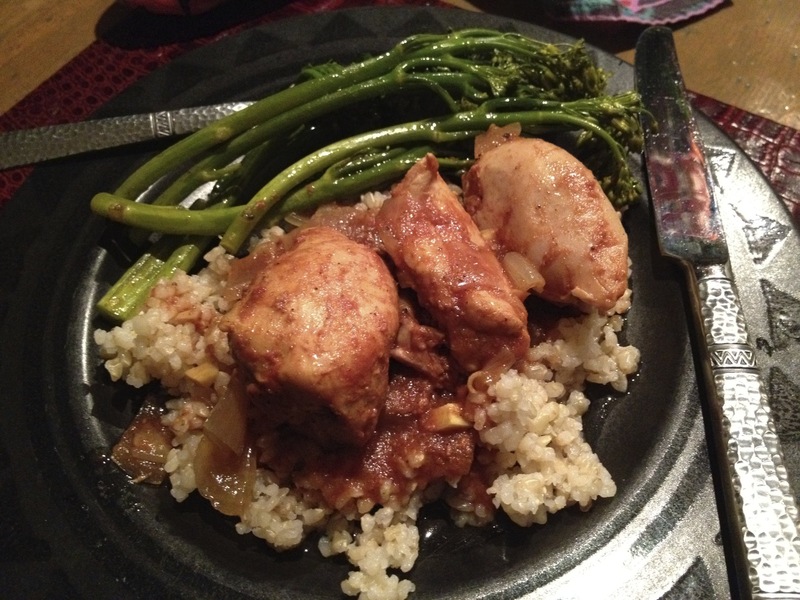 Thanks for the slow cooker recipe — looks wonderful! 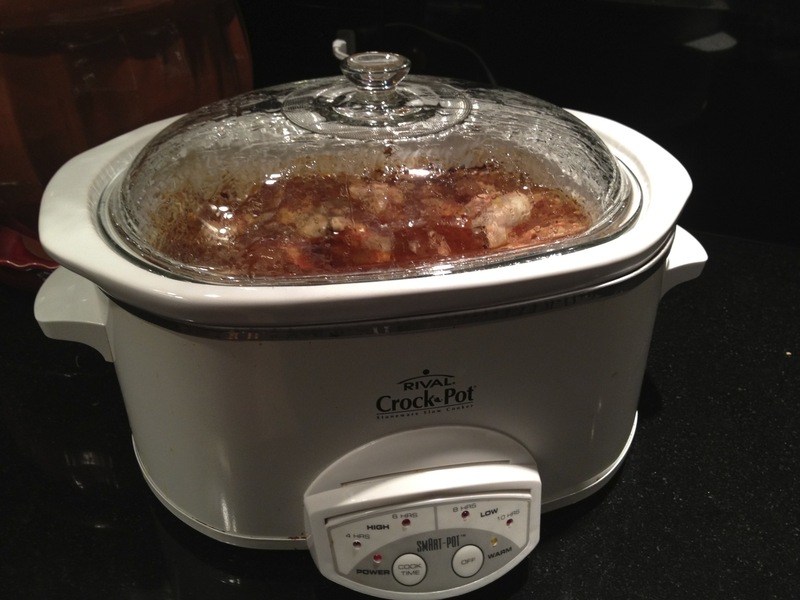 I love the slow cooker … we’ve even made whole chickens and lasagna in ours! Will definitely try this! You’re welcome! Hope you like it. It’s an interesting blend of spices and it smells like heaven while it’s cooking. looks good Terri! My kind of recipie. You seem to be adapting well. Managing just fine thanks, aside from fighting a bit of a cold. Is there no end to the fun? Thanks. 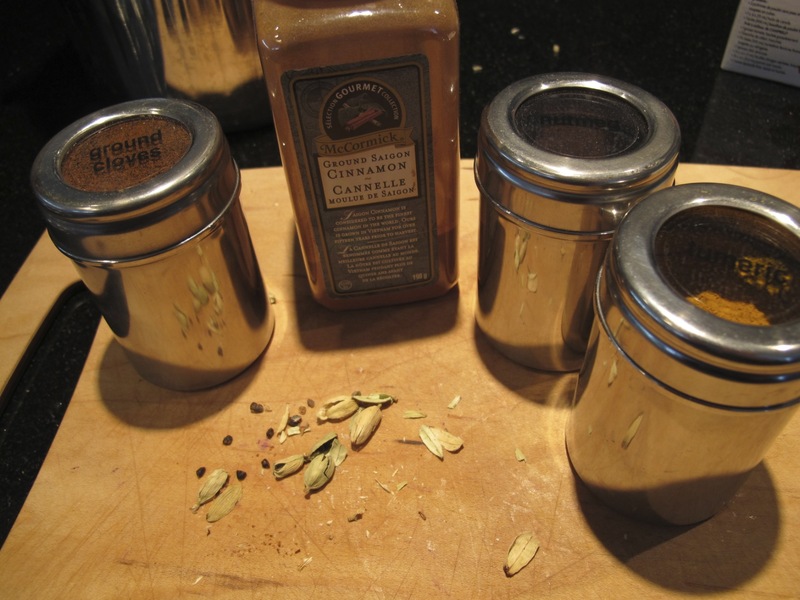 It is very tasty and couldn’t be easier. My favorite kind of week-day cooking!